Lynn Valley Days is back on a new weekend to kick off the summer with the favourite festival of the year. The annual event has moved back a weekend to June 21 and 22 for 2019. Lynn Valley Days has some consistent partners who show up year after year. 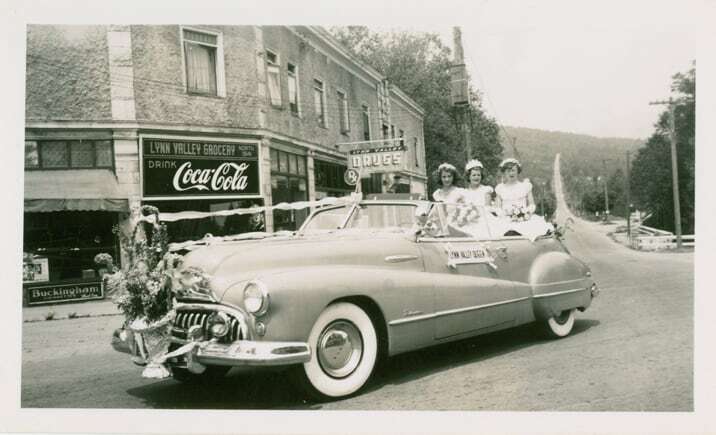 This year the Lions are asking for early volunteer commitments from 30-40 people to help with the parade and traffic. Traffic volunteers will have a training session to ensure their safety and to establish event procedures. The Lions are looking for people 15 years and up for this role, but can also partner younger volunteers with older to fill positions. Like all volunteers they are offered free food and drink at the event. “It’s a great chance to get some service or volunteer hours,” said Duey. There are also opportunities for volunteers 19+ to help out at the gala. “It’s a great way to be a part of the bigger event without having to buy a ticket,” said Duey. The gala needs volunteers on Friday, June 21 from 5-7 p.m. to act as greeters checking people in and throughout the night selling drink tickets. 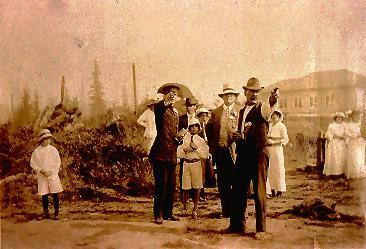 To learn more about Lynn Valley Days visit the Lion’s webpage and to volunteer email lynnvalleydays(at)gmail.com. There’s always something fun and exciting happening in Lynn Valley. Check out our Community Events Calendar or learn more about Local Activities, Mountain Biking or Hiking and Walking Trails. There is plenty of action instore for this Lynn Valley Day. It starts bright and early and we have all the details on the parade, detours, food – beer garden!! – and the fun! 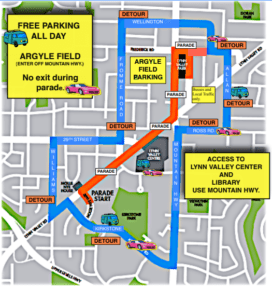 9:15 a.m. Traffic detours begin for the parade. 9 a.m. – 4 p.m. Games and large inflatable bouncy toys for the kids kick off at Lynn Valley Field. Visit the face painters, watch the entertainment and grab fair treats. 9:30 a.m. 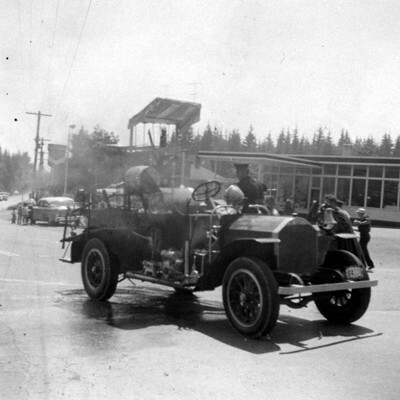 The parade will make its way east on Lynn Valley Road from Mollie Nye Way towards Mountain Hwy, where it turns north towards Frederick. 10 a.m. – 4 p.m. Local community groups and businesses showcase their work in booths around the field. There are lots of games to be played and prizes to be won! 10:30 a.m. – Head over the LynnValleyLife’s Family Olympics and Obstacle course for your chance at prizes! Many events around Lynn Valley have certain things in common: hearty neighbourhood attendance, the likelihood of rain, and someone running around in the background with a yellow vest. New Lynn Valley Days events offered this year! 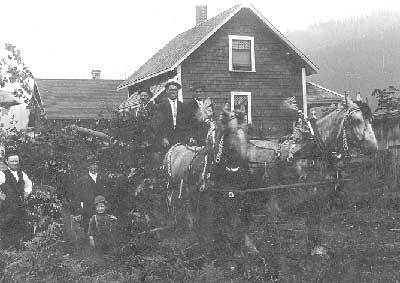 Lynn Valley Days are fast approaching, and fingers are crossed for a warm, sunny weekend. Even if it’s drizzly, however, the famous Big Tent will keep revellers dry and spirits high! We are as pleased as punch to be a main sponsor again this year, and we thank all the other citizens, businesses and organizations who have banded together to pull off this major event. On Friday, June 16 the Gala Dinner is back for the seventh year running (or is that dancing?) There’s a new twist this year, though – if you’re more of a dancing fiend than a dinner hound, there are late-entry tickets available that will have you grooving under the Big Top from 9 p.m. to midnight. For more details about the cocktails, dinner, Bosa lounge, silent auction, live band and limo service, click here. And get your tickets soon, they’ve been selling well! It’s weed pull time again! Celebrate the first week of spring by getting your hands dirty with North Shore Streamkeepers. 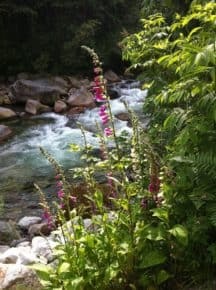 The group is looking for volunteers to help remove invasive plant species and replant native species in Lynn Canyon Park on Saturday, March 25 from 10 a.m. to 1 p.m. Some trees in the area are being “girdled” by ivy vines that will ultimately choke off the vessels that supply oxygen throughout the tree, so cutting off those vines is just one of the priorities on the list. All ages are welcome, and attendees are invited to meet at the bottom of the hill from the trailhead of the Baden Powell, across from End of the Line (4193 Lynn Valley Rd). Bring along your garden gloves, drinking water, a reusable mug and weather-appropriate clothing; snacks, tools and good company are provided! North Shore Streamkeepers undertake all sorts of studies and activities that protect our local waterways and enhance fish populations. Learn more about their work, and how to get involved, right here. 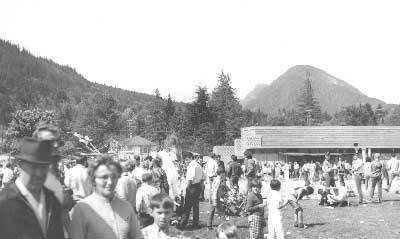 Thank you to Dianne Elphinstone for sharing some of her Lynn Valley Day memories and photos! Volunteer or attend this year’s community celebration on the weekend of June 17 to 19; check out all the details here. 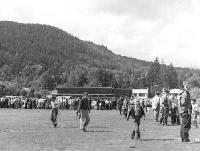 In the early 1940s someone displayed fridges at Lynn Valley Day. Most people did not have one, or also had never seen one. Someone else had a live caged anteater; this would have been about 1945. 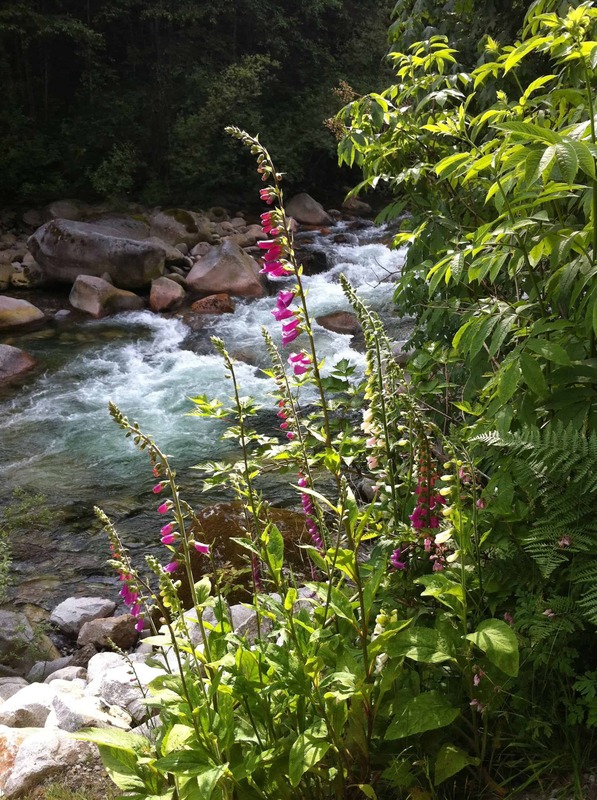 Lynn Valley Day – what’s new for 2016! 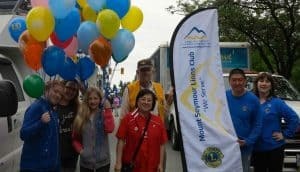 It wasn’t easy, but LynnValleyLife finally caught up with Lynn Valley Day organizer Eric Miura on Friday – a rare chance to spend some time with this uber-busy volunteer who juggles his day job with executive roles in the Lynn Valley Lions and Lynn Valley Community Association. 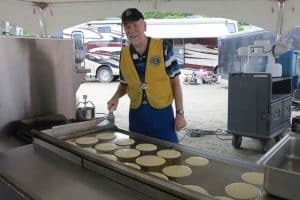 At this time of year, that means Eric and the rest of the Lynn Valley Day team are living and breathing plans for the huge community event, which in 2016 has grown from two days into three. Mark your calendars! 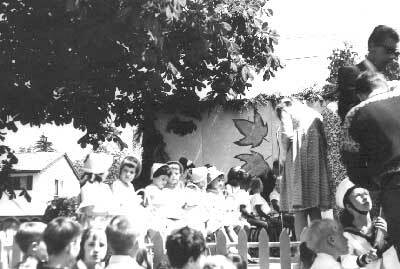 After decades in its last-weekend-of-May slot, Lynn Valley Days is moving to the weekend of June 17 to 19, 2016. And along with the move comes a great new event – a Father’s Day breakfast on the Sunday morning! Guests at the Friday night Gala will enjoy catering by Louis Gervais and dancing to the tunes of Angela Kelman. Tickets are $150, which includes two drinks. Memories of Lynn Valley Day 2015! We bet there are a ton of great Lynn Valley Day photos floating around out there, but here are some from the editor’s iPhone, taken in between shifts running the egg-and-spoon races! Thanks to everyone who pitched in, paraded, participated and celebrated our wonderful community at this fun annual event!